Bring your dreams a little closer to you with a stunning vacation photo, photo of a loved one or any other memorable photo on this stunning Photo Coaster Set. This Set of 4 Cork backed Coasters with a mahogany wood holder is a great gift for any occasion. Couple this great customized gift with a Personalized Photo Mug and you will be sure to be at the TOP of all the invite lists!!! 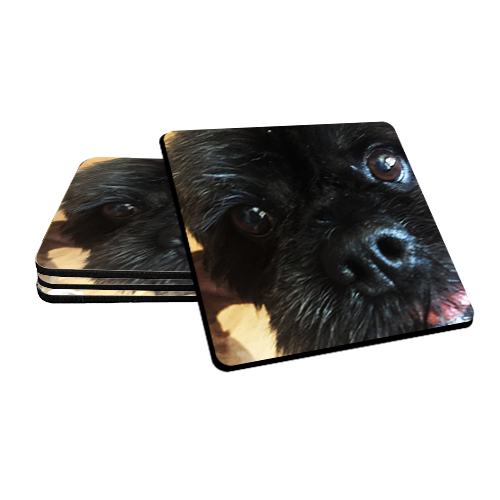 uses a unique decoration process that actually infuses your photos into the coating on these Photo Cork Backed Coasters so you get a DURABLE and Vibrant Image for years to come!